We’ve had a phenomenal year at Forest Avenue Press, with the highlight being the August release of Landfall, Ellen Urbani’s debut novel, praised as “a hell of a book and worthy of the storm and times it describes” by legendary author Pat Conroy. Ellen commemorated Landfall‘s launch with a twenty-city book tour that included the South, East Coast, California, and various Pacific Northwest appearances. 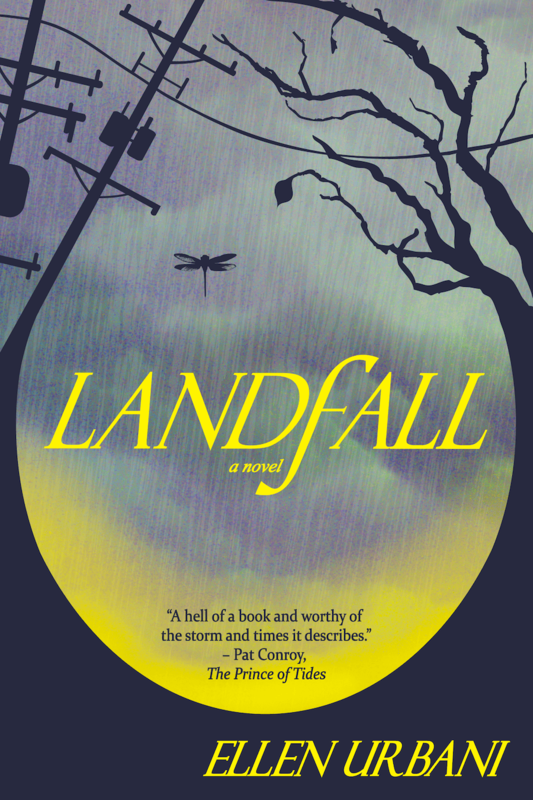 Landfall was chosen as a 2015 Great Group Reads selection, and has been featured in myriad publications, including Kirkus, The Huffington Post, Literary Hub, the Charlotte Observer, The Oregonian, Oregon Arts Watch, Publishers’ Weekly Hurricane Katrina special coverage, The Advertiser, The Register-Guard, The West Linn Tidings, and more. One of the most unexpected and hilarious bits of coverage was this article in the sports section of the The Seattle Post-Intelligencer about Ellen’s Powell’s launch, and how she sang the University of Alabama fight song while having a former championship quarterback lob goodies into the crowd. Landfall has been a Powell’s Books bestseller in several categories, an Octavia Books bestseller, a state of Mississippi bestseller, an Amazon bestseller in several categories, an AM Northwest Selection. It was also chosen as the first-ever group reads selection by The Junior League of Portland, which instituted a series of book club discussions and will include an appearance by Ellen in 2016. Back in December 2014, Forest Avenue Press signed with a distributor, Legato Publishers Group, a division of The Perseus Books Group. It was amazing to watch the team go to work selling Landfall nationally and internationally, and we can’t wait to work with them on our next batch of titles. As the publishing industry needs a long lead time, we spent a good chunk of 2015 on our three 2016 books and one 2017 book. 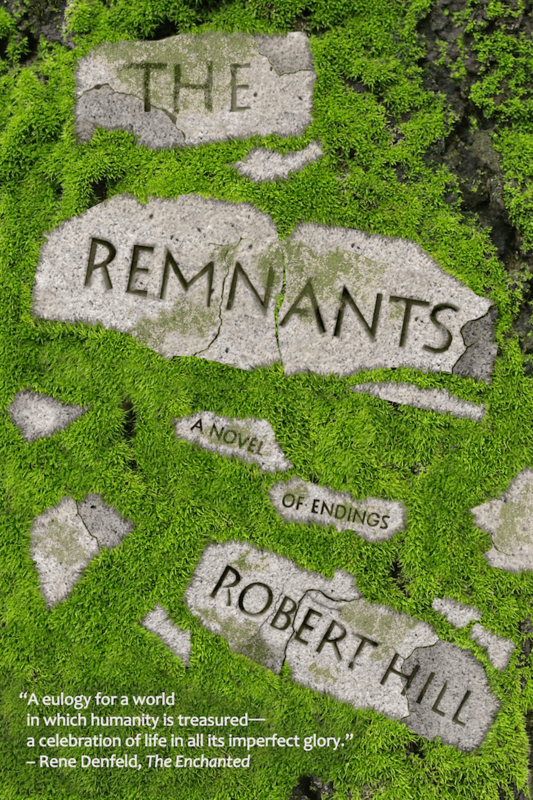 The Remnants by Robert Hill launches on March 15 (at Powell’s City of Books at 7:30 p.m.), and it’s set during the twilight days of a small town, currently populated by three remaining near-centenarians. It’s a feast of language; the prose has been compared by early readers to Faulkner, Joyce, pinwheels, fireworks, and melted chocolate. Our two fall 2016 titles are Froelich’s Ladder, the delightful tall tale debut by Jamie Duclos-Yourdon (August 2016), and City of Weird: 30 Otherworldly Portland Tales, a spine-tingling and fun collection of fantastical Portland-centric stories edited by Gigi Little, and featuring some of Portland’s best-known writers. Our spring 2017 title, The Hour of Daydreams, the debut novel by Bay Area author Renee Macalino Rutledge, is out in early galley form and already earning early blurbs and buzz. You’ll hear plenty more about these titles–including the cover release for City of Weird!–in coming months. ARCs of Froelich’s Ladder and City of Weird will be available starting in February, so reviewers and bloggers, contact us if you’d like one. We attended a number of book festivals and tradeshows this past year, including the Pacific Northwest Booksellers Association, Stumptown Lit, Poets & Writers Live, and the revamped literary festival Wordstock. We’re already looking forward to the Pub West conference in February 2016 and are making a lovely list of other opportunities throughout the year. National submissions open January 1, 2016 and will be open only through March 1. While we do work with agents, we are really looking for unagented submissions at this time, because that’s really in the spirit of what Forest Ave is all about: making room at the publishing table for worthy manuscripts that haven’t found a home in New York. We expect a higher volume than usual this year. As we approach that date, we’ll be rotating our current list of available titles in the featured spot on our website, as we hope those who ask us to spend time considering their work will first get a feel for our press by reading at least one of them. We have a long list of what we’re looking for under our submissions tab; as always, it’s a taste thing, so the better we can explain our needs, the more likely we’ll attract manuscripts that dazzle us. Feel free to spread the word! And as always, consider supporting us through buying a book you haven’t read yet, or writing reviews of the ones you have. We have made it a priority not to charge reading fees or host contests with entry fees to keep our doors open to all, but that decision has meant our revenue comes exclusively from book sales.